Newham's Garden Services Ltd - Garden Services based in Horton Heath, Hampshire. Invoice history based on 70 reviews. 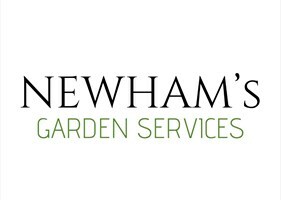 At Newhams Garden Services we are a friendly and hard working team. Dedicated to giving you the best possible results within budget and on time! Priding ourselves on reliability and all round quality work. We like to build a strong and reassured relationship with our customers, so you can remain confident in knowing your vision is our goal! Our confidence comes from many years' experience passed down from well over a quarter of a century's family trade. We are a company based in Horton Heath but cover all the surrounding areas. Offering a range of services from general garden work and groundwork to restoration. We have full liability insurance and all work comes fully guaranteed to settle your mind for a job well done!